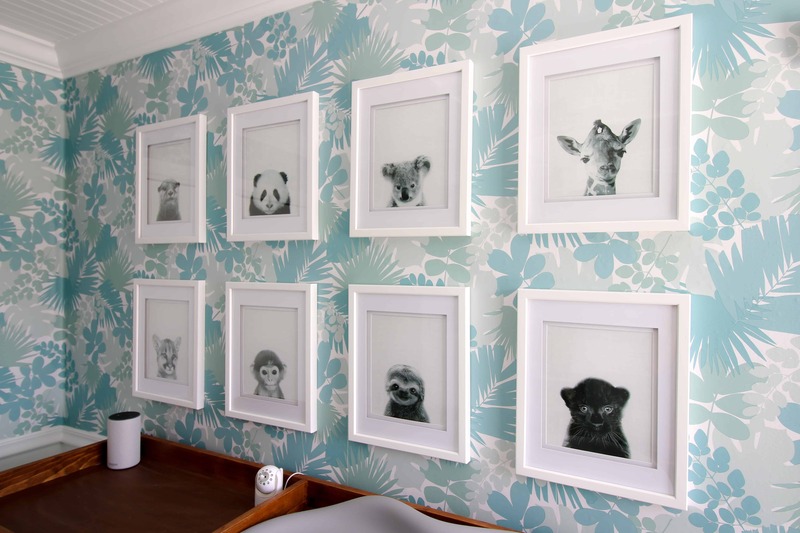 A baby animal gallery wall is the perfect touch to any nursery! Here is how to DIY one for your own home. 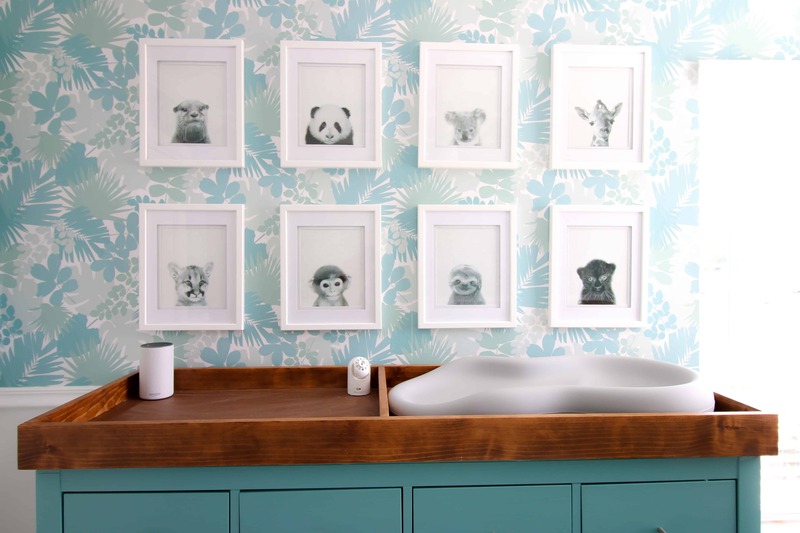 As we are wrapping up our jungle nursery makeover, I have been really excited to add some art to the walls. 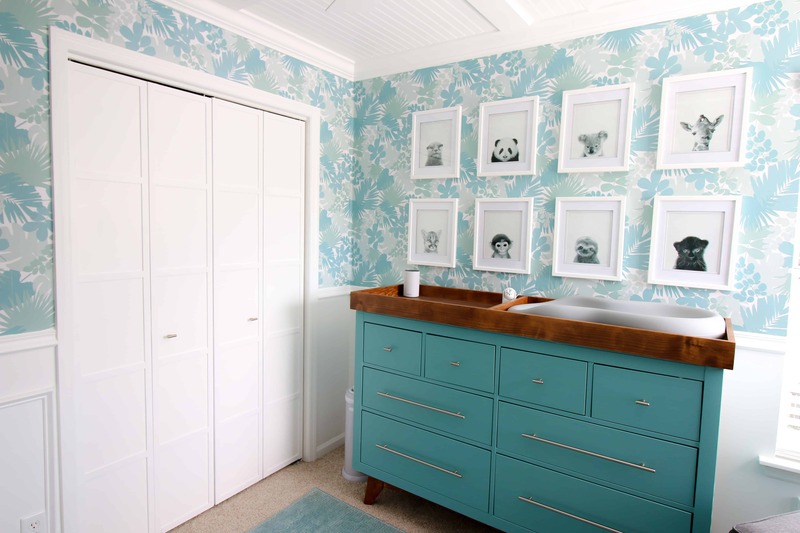 Because of the busyness of the wallpaper, I wanted something simple but still statement making. I went on an Etsy hunt for animal themed art. I wanted something that was sweet and nursery appropriate but also felt not too baby-ish. Also, because the wallpaper is so strong and colorful, we wanted something that wouldn’t be too bold. 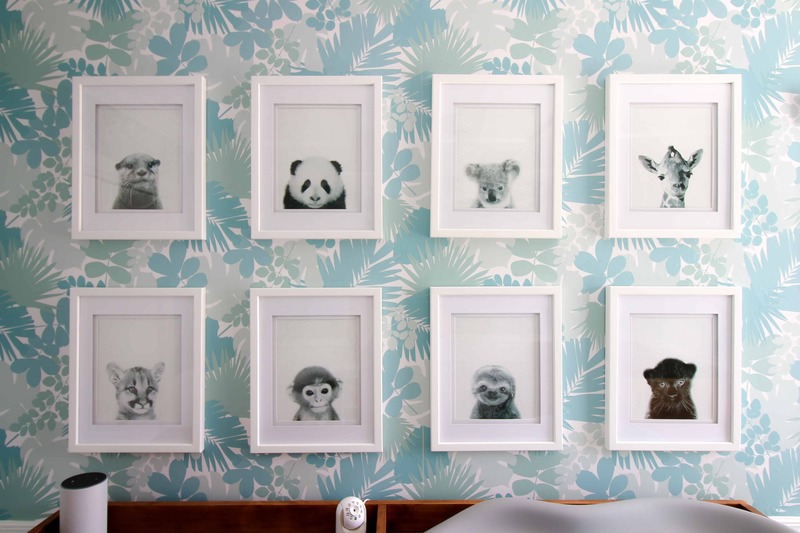 When I spotted these baby animal prints I knew that they were perfect. The black and white prints are perfect for breaking up the colorful wallpaper without adding too much busyness. And the animals are so so cute! We had a really hard time narrowing it down to just eight. We made our choices by going with the cutest things we could find and also adding some that were special to us. The panther and the cougar were obvious choices for us! I decided to hang them in a grid pattern to help keep it clean looking. I have done several grid gallery walls in the past (including the bikini girls in our bedroom and doors in our sunroom, both with this same frame). 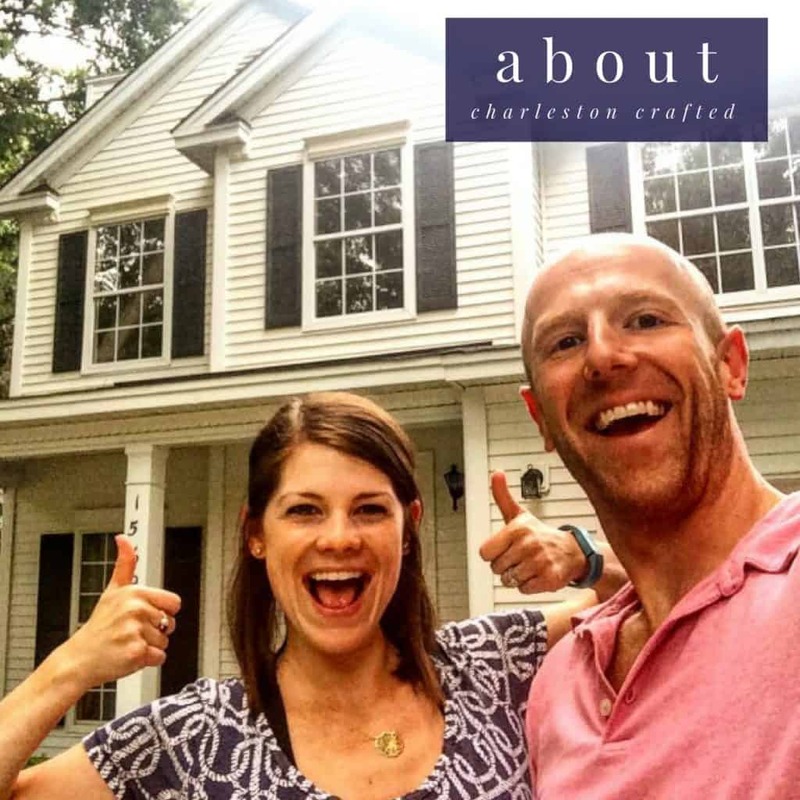 We ordered the same frames again to continue that continuity throughout the house. We decided to center the gallery wall over the dresser/changing table. It is slightly off center on the wall (excluding the window) but I think that it made more sense there than centered on the wall. We love this kapro tools straight edge for hanging frames. You can set the red tabs to the distance apart that your nails go (since these frames each hang on 2 nails) and not have to measure each one each time. A laser level makes sure that your rows of frames are level. Step back frequently to ensure that you like your spacing. Remember to take into account the distances of your nails to the frame’s edges when making your measurements for spacing. It’s best to make your lower row spots first, then use the straight edge to go directly up and level from those points. Which of these adorable baby animals is your favorite?